I don’t wish to discuss the weather today.I won’t give it the satisfaction. Suffice to say that spinning in the caravan was less of a joy today. Also, Teddy has been driven from the conservatory and into my arms. Well, I say “arms” but it’s more like the one arm. Teddy has never been a lap sitter. When he wants a cuddle he launches himself from the desk and anchors his front claws into the closest shoulder. Then he hauls himself up and settles his head on said shoulder. His weight is sufficient to automatically generate a proffered crooked arm to perch his rear end on. I need a baby sling to put him on so that I can regain use of my other arm, which is suffering under his weight. What I wanted to talk about was my spinning. Not cats and dogs and Teddy. 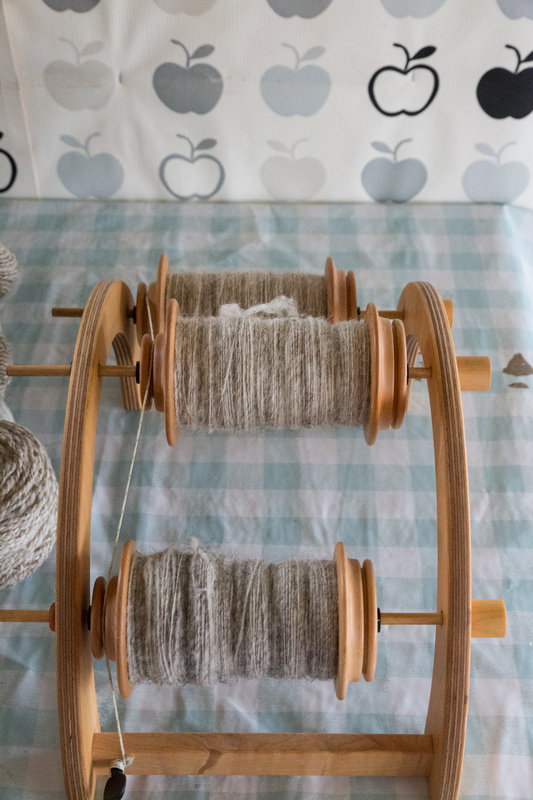 I rattled off another bobbin of singles this afternoon and am ready to ply after tea – if I can find a space to work in. I shall need some juice for the e-spinner but the caravan is not connected yet. 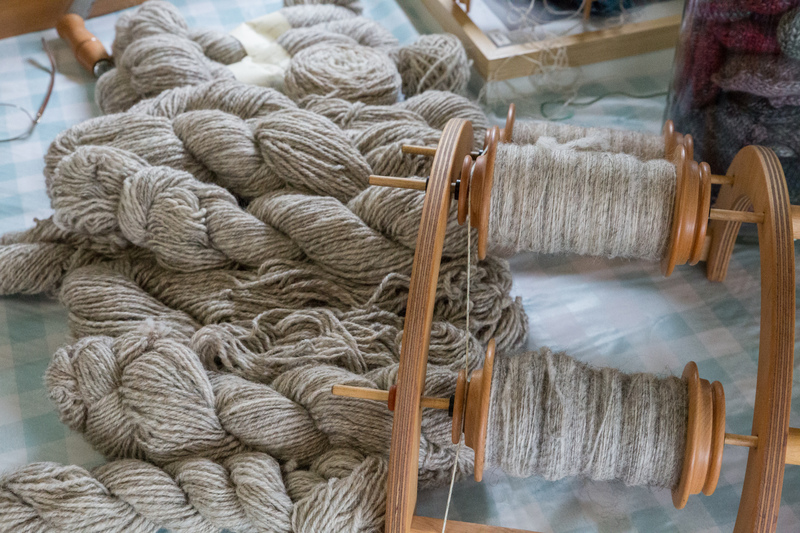 I have been reviewing the state of this project and you can see the finished yarn piling up now. In fact I believe there is only one bobbin’s worth of roving remaining of each of the three colours. Now, I should very much like to get started on my 2nd pair of skeins as I am ore than ready to play with some colour. 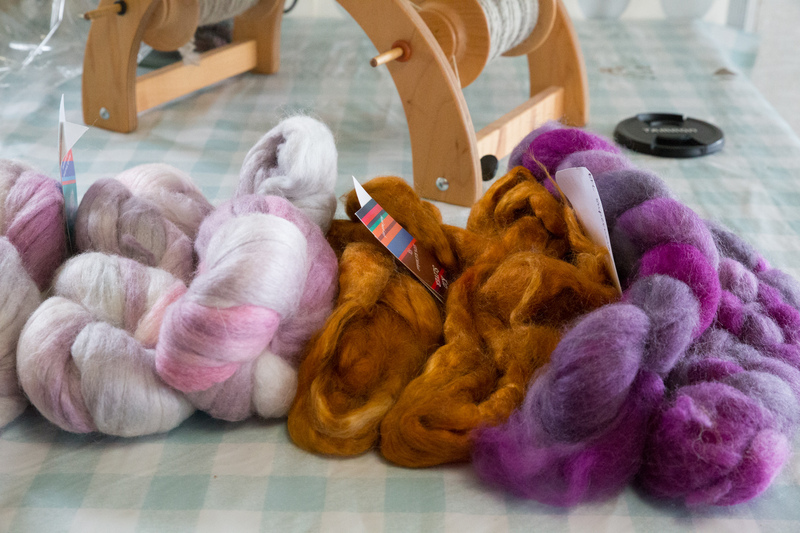 However, if it truly is the case that I only have one bobbin’s worth left of each colour roving, should I not just crack on and complete the job? I know that it will leave me short of time to make a second entry but it does seem to be a more sensible approach (even if boring). Which shall I do – whenever I get around to it?